Choose a question WHAT IS A PERIODONTIST? HOW DO I KNOW IF I HAVE GUM DISEASE? WILL TREATMENT HURT? HOW MUCH WILL IT COST? WILL I NEED SURGERY? CAN MY TEETH BE SAVED? WHEN WILL I GO BACK TO MY GENERAL DENTIST? WHAT IF I DON’T HAVE GUM TREATMENT? • Replace missing teeth with dental implants. This can be anything from a single tooth to all the teeth in someone's mouth. • Remove a tooth needing extraction and graft the socket to preserve the jaw bone. • Regrow the bone in areas where there is not enough bone so that dental implants can be placed. • Place implants to secure a loose unstable denture. • Place dental implants so that someone can get rid of their denture and have a fixed bridge. • Extract a bad or broken tooth and immediately place a dental implant and a temporary crown in its place. • Remove a whole mouth of bad teeth and immediately place implants and a temporary bridge to avoid a denture. • Provide conservative expert treatment for early or beginning gum disease. • Design a custom prevention program for ongoing gum health. • Conservative nonsurgical gum treatment. • Smile enhancement with Crown lengthening to reduce a "gummy smile." 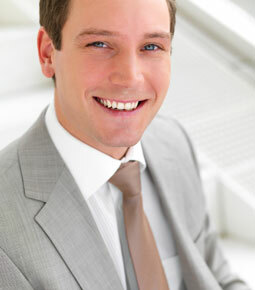 • Smile enhancement with gum grafting to cover recession and reduce long looking teeth. • Crown lengthening to provide more space for dental restorations. At each check-up, your dentist and/or hygienist will monitor for changes in your mouth. Contact your dentist if you have gums that bleed, are red, puffy, swollen or sore, gums that have pulled away from the teeth, gums have receded, changes in the way your teeth fit together, pus or discharge around the teeth or gums, or constant bad breath or a bad taste in your mouth. We are truly committed in making sure your dental treatment is provided in the best, most comfortable manner possible. Although local anesthetic is used in most situations, we do also offer additional treatments which will help make you relaxed but not aware of your surroundings. Because each patient need is different, our office will go through a complete examination at your first visit. Our office will go over the diagnosis and your options in treatment as well as the cost of treatment. We do participate with many insurance plans and will give you an approximate estimate of what your coverage will be. We also have a number of payment options that will be discussed prior to any treatment. Not everyone needs periodontal surgery. If treated early, gum disease can be controlled without surgery. We will make recommendations based on your individual needs. Our philosophy is to treat as conservatively as possible to attain mutually defined treatment goals. The recent advances in periodontal treatment allow us to successfully treat most teeth. Again, the earlier the disease is detected, the more predictably we can save your teeth. Our office works very closely with your general dentist. If crowns or other restorative needs are needed, your general dentist will provide them. Regular visits to your general dentist are an important part of periodontal maintenance. Periodontal disease is a progressive, painless infection, however, a delay in treatment can cause you further bone loss and treatment may be more extensive. Additionally, if bone loss continues, we may not be able to save the teeth and/or implant placement may be compromised.